Spill. In my effort to do something to try and help, I have created Animal Totem Stones of some of the partiuclar animals that may suffer from this spill. Proceeds from the sale of these totem stones will be sent to the National Wildlife Federation to assist in their efforts.As individuals our efforts may seem small, but when we join together we can make great strides." 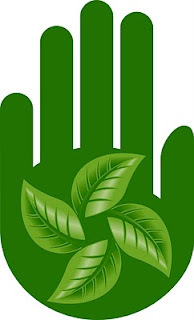 Conscious Art Studios is a member of the Green Business Association. Some of you communicate with us through Facebook, Blogs, or Email, but if you haven' t visited the Conscious Art Studios website recently, you should have a look. Lots of updating and new looks. *There is an Art Specials page where every couple of weeks I post a few pieces of Art at great buy prices. *Windscape 3 also has a page on the site where you can find upcoming performing dates and hear song samples. We want to take this opportunity to thank all of the people who support us, some of you for a very long time. Without your inspiration, we wouldn't be doing the things that we love with such vitality and passion. Many many Blessings to all of you that support Conscious Art Studios. Finally the warm weather is arriving and the sun is shining, and now the Artisan Market has started up again for this year's season. Most Saturdays, unless we are showing at another show or festival, you can find our Art at the Grants Pass Artisan's Market from 9am - 1pm. If you haven't come out to hear John perform recently, you might not be aware that he is in a new band called Windscape 3. Windscape 3 offers an eclectic, jazzy, folk and world beat blend of original music and songs. With tribal jazz pieces in an acoustical setting they use modern and ancient world instruments to create that "feel good" ambience in most every setting. They will be having a CD release in June 2010.